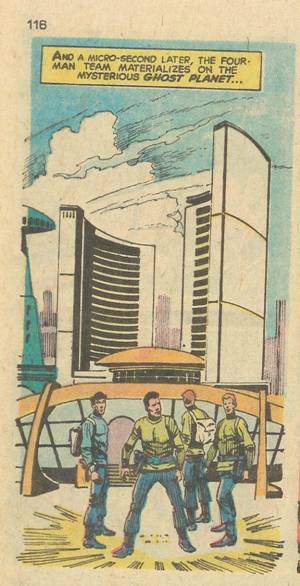 STAR TREK: TO BOLDLY GO – TO TORONTO!?! So, when you think of Star Trek, and all those exotic worlds and space opera like episodes, what is the first thing that comes to mind? One thing you may notice in the link, that the city hall made an appearance in the Star Trek: The Next Generation episode entitled ‘Contagion’. Interesting. 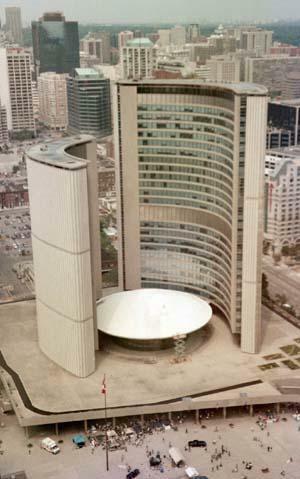 Then again, 40 years ago this building was cutting edge in terms of design, affecting the entire world. Don’t believe me? Did I say exotic worlds? My bad. Now the kicker, Alberto did all his work from home, that is, Rome, Italy. This must have been some interesting news back in the 1960s to make it halfway across the globe. Goes to show, in Star Trek, you never know where you’ll end up.